DR. AMARA ABREU, Assistant Professor of Oral Rehabilitation, has been named a Diplomate of the American Board of Prosthodontics. DR. ROGER ARCE, Assistant Professor of Periodontics, will participate in the American Dental Education Association’s Academy for Academic Leadership as an American Academy of Periodontology Foundation Fellow. Fellowships enable new faculty members to gain competencies in teaching and other academic skills in the context of career planning. 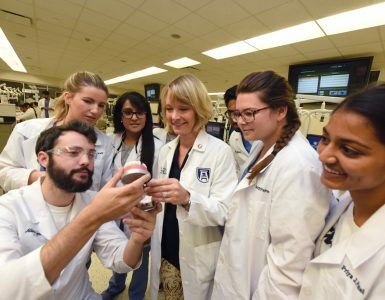 JORDAN BLANKENSHIP (’16), a College of Dental Medicine student and President of the American Student Dental Association, has been honored by the International College of Dentists for her leadership role in her class. DR. ELADO DELEON, Chairman of the Department of Orthodontics, has been named President-Elect of the American Association of Orthodontists by the American Board of Orthodontics. Each board Director represents one of the association’s eight constituent organizations and serves an eight-year term. DR. ALAN FURNESS, Assistant Professor of Oral Rehabilitation, has been named an Outstanding Faculty Member in the International College of Dentists. DR. BARRY D. HAMMOND has been appointed to the American Dental Association Continuing Education Recognition Program. The term will run from 2015-19. DR. ANDREW KIOUS, Associate Professor of Oral Rehabilitation, has received the 2014 GRU Student Government Association Faculty Award for “going above and beyond” to help students succeed. DR. RANJITHA KRISHNA, Assistant Professor of Periodontics, has received the College of Dental Medicine’s 2014 Outstanding Teaching and Mentoring in Periodontics Award. The award honors excellent education and enthusiasm in the full scope of clinical periodontics. College of Dental Medicine Dean CAROL LEFEBVRE has been elected to a three-year term as Secretary of the American College of Prosthodontists. DR. MARK PEACOCK, Associate Professor of Periodontics, has been named to the 2014-15 Anesthesia Committee of the American Academy of Periodontology. 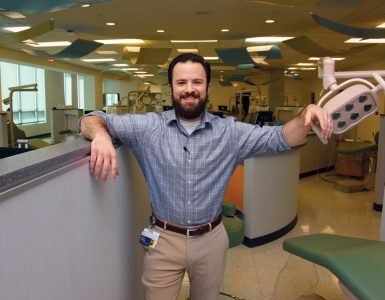 DR. BRUCE RIGGS, Assistant Professor of Orthodontics, has received a 2014-15 Master Clinician Scholarship from the American Academy of Pediatric Dentistry Foundation and the Dr. Jerome B. Miller Fund of Healthy Smiles, Healthy Children. The scholarship funds Riggs’ attendance at the American Dental Education Association’s Academy for Academic Leadership Institute for Teaching and Learning as well as any upcoming AAPD Comprehensive Review of Pediatric Dentistry. DR. COLIN RICHMAN, Assistant Clinical Professor in the Department of Pediatrics, has received the Seattle Study Club’s 2014 Charlie English Community Education Award. 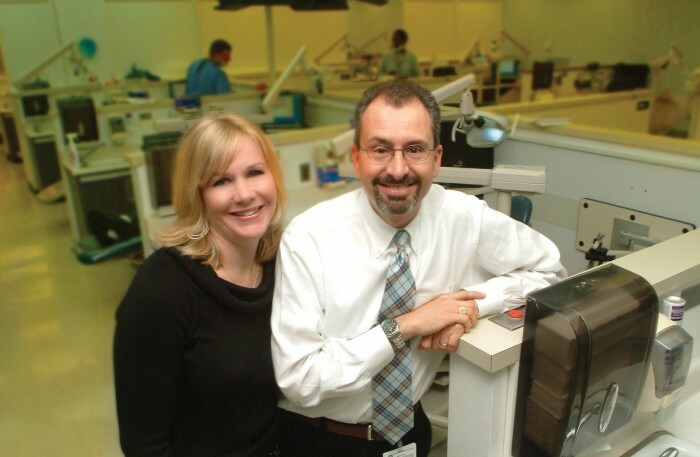 The club offers advanced continuing education for its 8,000-plus member dentists. 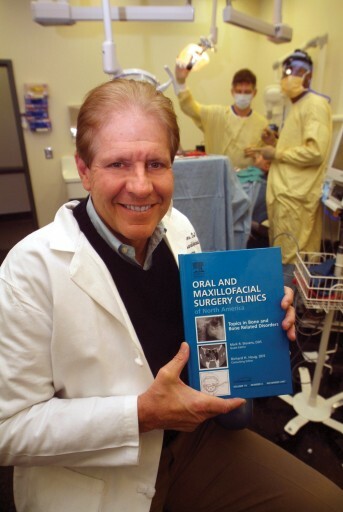 The award memorializes Dr. Charles E. English, a prosthodontist who died in 2005. 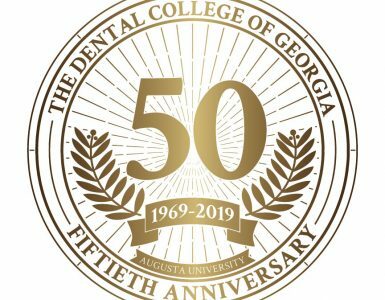 Richman, who practices periodontics and implant dentistry in Roswell, Ga., “has quietly impacted [fellow dentists] through his commitment to higher learning and giving of his constant support and time to others without ever expecting or asking anything in return,” said Dr. Michael Cohen, founder of the club. DR. KEITH VOLKMANN, Associate Professor of Oral Biology, has been named the College of Dental Medicine’s 2013-14 Outstanding Faculty of the Year. The award, the highest honor given to faculty, recognizes service to both the college and GRU. Volkmann was nominated by the classes of 2015 and 2016. Volkmann retired in June after 41 years of service. DR. KATE CIARROCCA, Assistant Professor of Oral Rehabilitation, has authored a continuing medical education module, “Dry Mouth and Older Adults,” that has been published on the Deep South CME Network for the University of Alabama-Birmingham Geriatrics Scholars program. DR. SCOTT DE ROSSI, Chairman of the Department of Oral Health and Diagnostic Sciences, has been appointed the 2014-15 Commission Consultant for the Commission on Dental Accreditation. DR. MARK STEVENS, Chairman of the Department of Oral and Maxillofacial Surgery, recently discussed trauma, mandibular reconstruction, and orthognathic surgery as a guest lecturer at the 12th International Congress of Oral and Maxillofacial Surgeons and at the Fourth International Persian Gulf Implant Symposium in Tehran, Iran. DR. ULF WIKESJÖ discussed management of the edentulous maxilla at the recent Academy of Osseointegration Summit in Oak Brook, Ill.